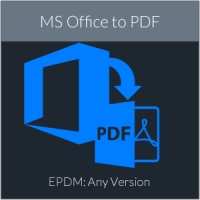 PDM Set File Size Variable – ehcanadian Consulting Inc.
Sets a variable called “FileSize” on files upon checkin. Sets a variable called “FileSize” on files upon checkin. Since the file size isn’t a built in property for EPDM, this could come in useful for searches of empty files. This won’t work for existing files unless they are checked out and back in.